Share this product and receive a $6.51 sharing discount. Let your dreams of a colorful Southwestern décor start with these 350 Thread Count 100% Cotton Luxious Sheet Sets. 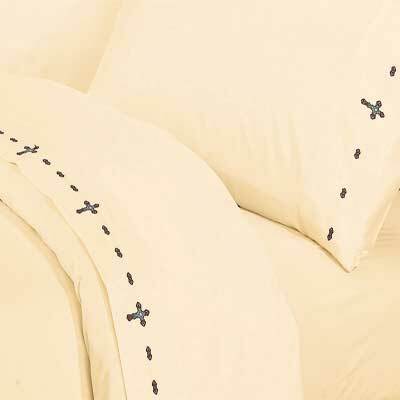 These cream sheets have been embroidered with a slight turquoise and brown. 20" x 40" x 5" pillow cases (qty 2).